Calgary and Toronto have slipped slightly in a league table of international prosperity but both outrank the rest of North America. The Toronto Region Board of Trade’s annual scorecard has Calgary at number three, down one place from last year but only beaten by Paris and Stockholm. Oslo is fourth with Toronto fifth, down from third last year. Calgary scores ‘A’ for employment growth, unemployment rate, office rent cost and building permits. It has dropped to a ‘B’ for its economy and scores poorly for innovation including venture capital investment and patents. 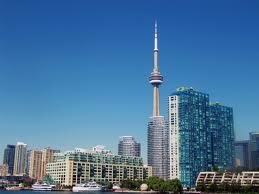 Toronto is reported as “well positioned” to take advantage of global markets but is not reaching its full potential. Read the full report.